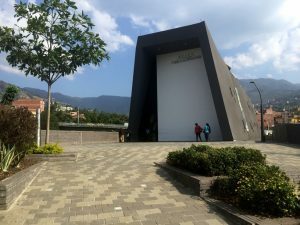 Misión del Museo Casa de la Memoria de Medellín. ¿Para qué un Museo de la Memoria en Medellín? The House of Memory Museum is a political, pedagogical and social project, inclusive and representative, which contributes to the transformation of the war logics towards more civilized practices, through construction and circulation processes of the armed conflict memories, the construction of cultural expressions and commemorations; pedagogies design for cultural and social transformation, advocacy strategies implementation and social mobilization, for human rights and non-repetition guarantees; and definition and implementation of knowledge management processes, oriented to the circulation and democratization of the same.